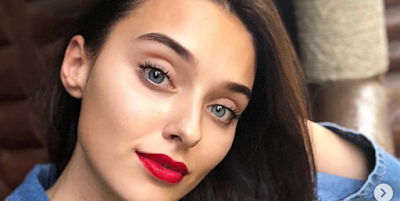 KIEV, Ukraine -- Veronika Didusenko, who was recently named Miss Ukraine at the country's national beauty pageant, was stripped of her title after pageant officials learned that she lied about being a divorced mother in her application. Miss Ukraine 2018, Veronika Didusenko. Didusenko was crowned the winner of the Miss Ukraine pageant in the country's capital of Kiev on September 20. But her reign as queen didn't last long after the pageant committee decided that she was to be disqualified on Monday. The Miss Ukraine organization released a statement regarding the 23-year-old's disqualification which said, "In accordance with the Rules for conducting the National Beauty Contest Miss Ukraine, a person who wishes to take part in the National Beauty Contest 'Miss Ukraine' must comply, among other things, with the following requirements (valid for the period of the Contest): – not / was not married; – has no children." The pageant statement continued, “The same requirements are indicated in the official form, which is contained in the unified rules and conditions of participation in Miss World contest 2018. According to the statement, Didusenko, who works with children in Ukraine's Young Einsteins program, failed to mention that she had a 4-year-old son and has previously been married -- both are against the pageant organization rules for contestants. The young pageant contestant recently took to Instagram to thank fans for their support "at such a difficult time." Many Instagram users reacted to the model's post. One user sided with the former queen and wrote, “I do not think that the child and the family should be an obstacle to their dream." While another disagreed and stated that the rules were rules for a reason. “The rules are the same for all, and Ukraine did not come up with them, but the founders of this world competition," another user said. As of now, a new Miss Ukraine to take Didusenko's place has not been announced, but a new queen will reportedly be chosen on September 30 in a special television broadcast, according to a press statement released on the pageant's organization website. So what if she was married, previously. Really. Rules are rules though and we know how idiotic they can get at times. I say change the rules and get her crown back.